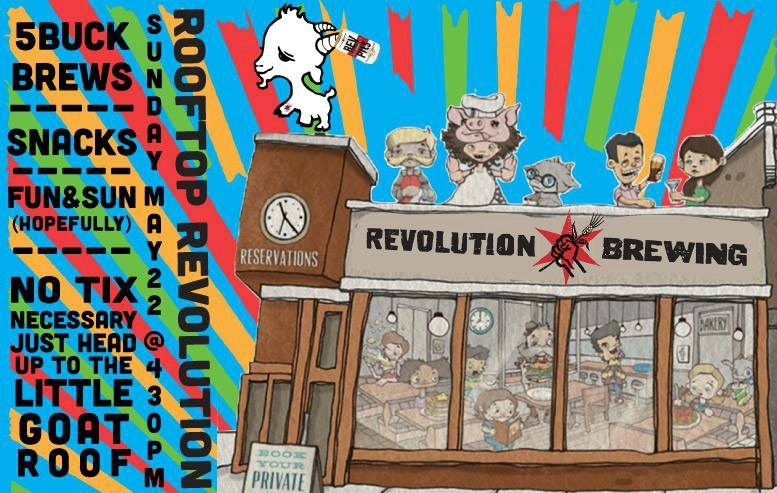 Join us at Little Goat for a Rooftop Revolution during Chicago Craft Beer Week! Sunday Funday begins at 4:30pm. 5 buck brews, snacks, and fun in the sun. 100% of profits will be donated to the memorial fund for Greg Underhill's family. Little Goat will also be holding a silent auction to help fundraise. Progressive Dinner for 4 - beginning at Girl & the Goat, then to Momotaro, then to Duck Duck Goat, ending at Swift & Sons. Expect top VIP treatment throughout the night, including complimentary pairings at each location! Cooking Class & Dinner in the Little Goat Private Kitchen – Join Private Even Chef David Avila for a special cooking class, featuring some Goat favorites. Learn special tips and techniques, while enjoying some beverages...then feast on the fruits of your labor! Includes: class, dinner, drinks for 6.